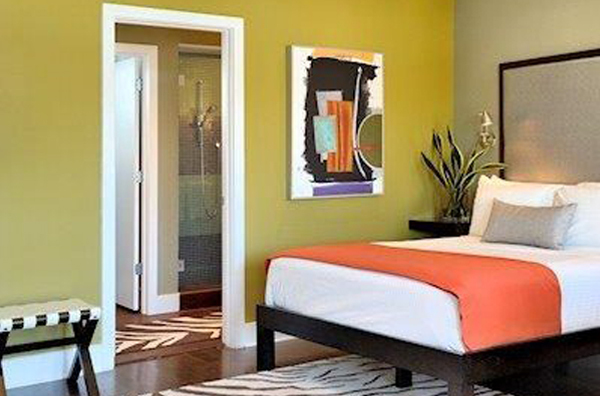 Our bold colors and fabulous furnishings will elicit excitement! Our hotel rooms in Key West have built in desks and tables with leather chairs and modern lighting. Large platform beds with thick comfortable bedding make sleeping heavenly! Tile floors with zebra rugs compliment the unexpected interior. The bathrooms have all tile showers with glass doors and marble countertops and vanities. Stainless is used to complement the bath and sleep area. Some rooms have balconies overlooking Truman Ave and the pool area. Sit outside and enjoy the island! 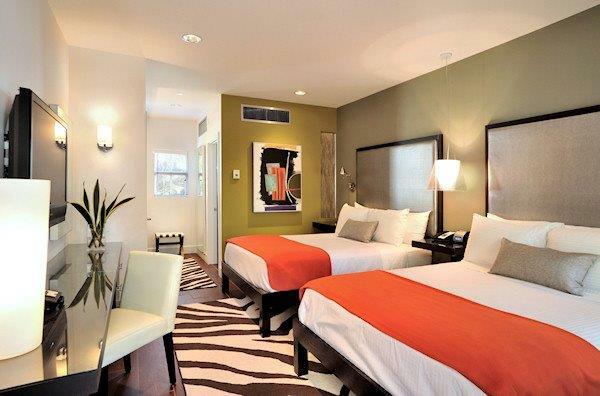 The Truman Hotel has a variety of rooms, rates and booking options in Key West. Deposit of first night's room and tax is required to secure the reservation. Cancellation is accepted up to 4 p.m., 72 hours prior to arrival except for holidays and special events. Exceptions will be noted as needed on the confirmation and/or email. Cancellation policy varies based on date of arrival, holidays or special events. Please contact the property.